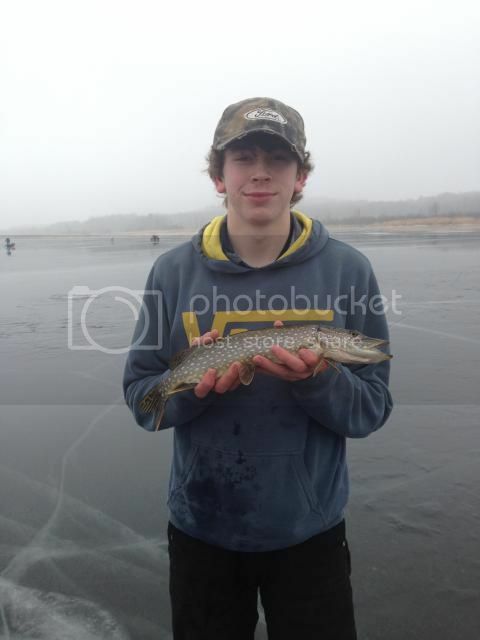 Rush Lake Report 12/13/14 - - - 5 messages. Showing 1 through 5. I took a break Saturday morning from Muzzleloader hunting to bring the kids and co-worker out for a little tip-up action! 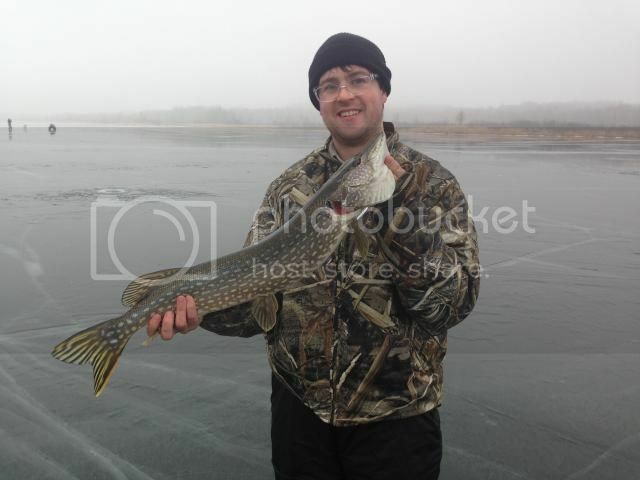 I love tip up fishing Rush Lake out of Rush city because its close and it can produce plenty of 24 plus fish. 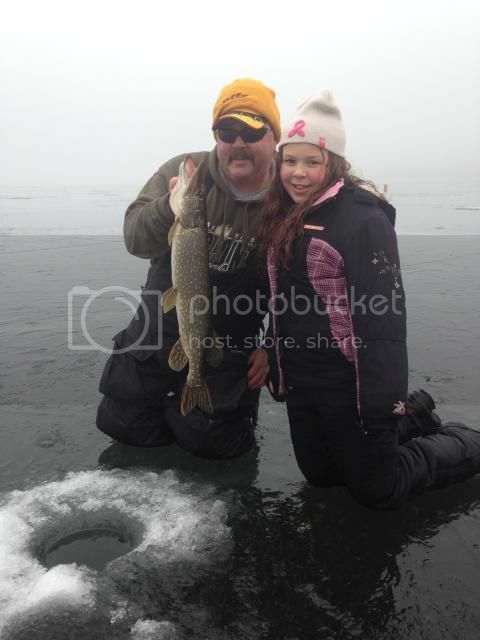 We varied our depths from 5 to 10 FOW and set our lines either at a foot off the bottom or 18 below the ice. 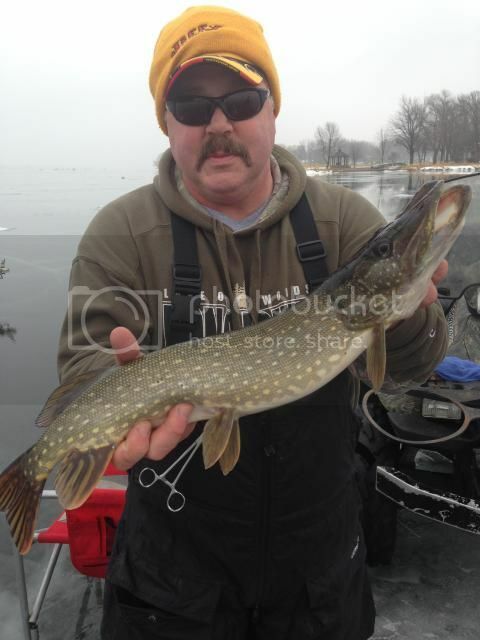 We used various types of lures, hooks and quick strike rigs in our spread. A noteworthy lure that is starting to become a mainstay on my tip up is a PK lure called a Flutterfish. Give them a look! We used medium suckers on all of our baits. 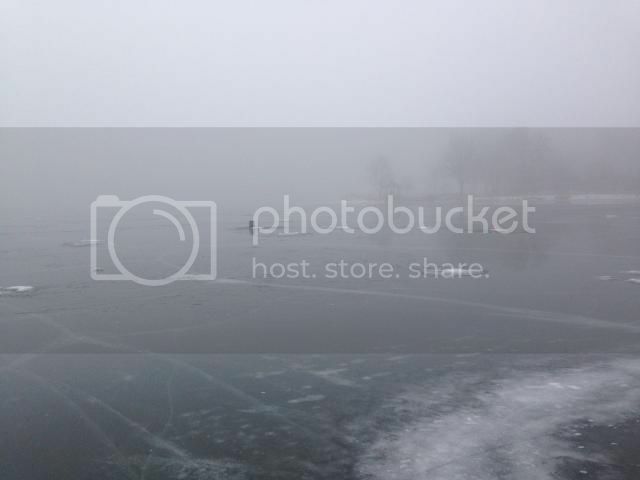 The fog that rolled in that night was Pea Soup thick! It took us awhile to get to the lake and get set up. The fish reacted a little slow early morning by 10 am we were getting a flag on average every 15 minutes or less. There was a good amount of water on the ice and we marked between 10-13 inches of ice. I recommend getting the kids and a co-worker to the lake! Im not confident the video will work but I will try. Thanks for the info, SB! I shared the 4th pic on FB. Can I add these to your photo album and add them to the pics paags? I'm hoping to get up to Rush soon and chase some Panfish during the day and then target walleyes around Sundown. Looked like a fun day, I have yet to find a good tip up bite this year. I'm itchin! Web you go ahead and use at will! I have a show to do at Owatonna this weekend but I live very close to the lake. If you go let me know and maybe we can hook up!